Cloud Security Plus can be installed in any machine with the specified system requirements. If your system has a 32-bit architecture, then download ManageEngine_CloudSecurity.exe. If your system has a 64-bit architecture, then download ManageEngine_CloudSecurity_64bit.exe. Extract the appropriate EXE file and follow the instructions of the installation wizard. 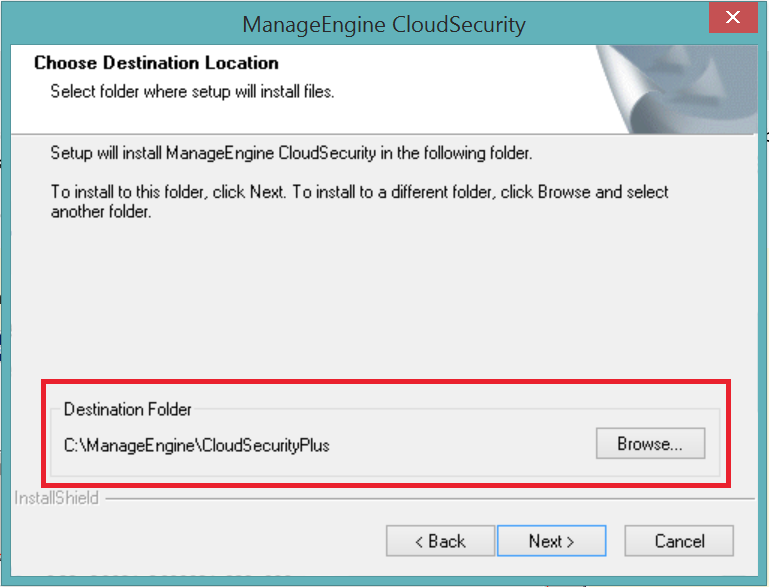 While installing, the default storage folder for Cloud Security Plus can be changed. Similarly, during installation the default port can be changed. By default, Cloud Security Plus uses port number: 8055. However, you can change this to the port number of your choice. In case the port number needs to be changed, it can be done by changing the default port number in the installation wizard. 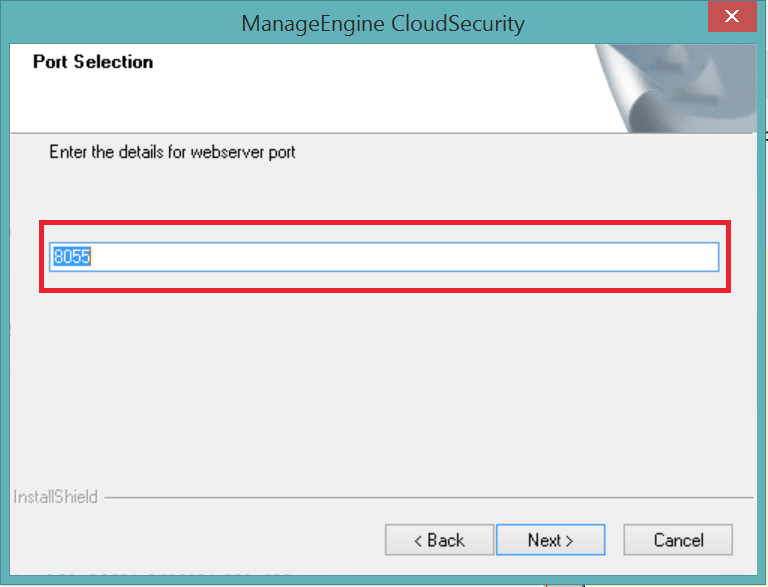 Ensure that the port required by the web client to connect to the server is available. Navigate to the path where Cloud Security Plus is installed. By default, the location would be Start > Programs > ManageEngine Cloud Security Plus. Select Uninstall Cloud Security Plus. Confirm your choice of uninstalling Cloud Security Plus.